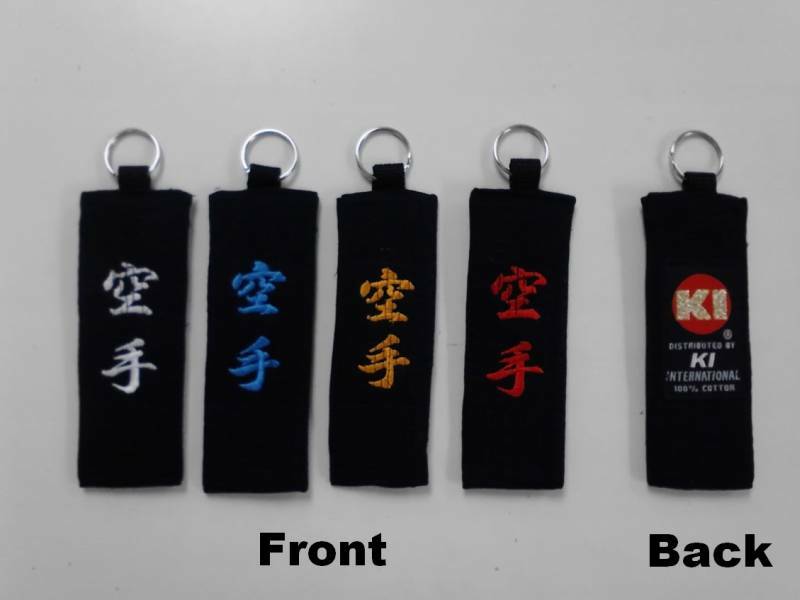 Embroidered Black Belt Key Holder (Karate)..
Karate in Japanese Kanji character is embroidered on one side, and KI label is attached on the other side. 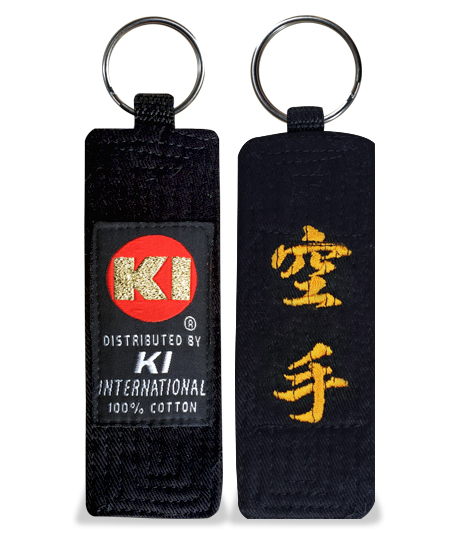 * The picture shows Karate in orange-gold thread, front and back side. * Every key chain is hand made.